The college which fulfills all your expectations will need to be selected. So, the first thing to do is to decide what you want to study and where you want to reach. This will help you figure out which colleges will allow you to reach your goals. For most of us cost is an important factor that will influence us to choose any college. Tuition fees, book costs and any other should be considered. If the college provides any financial aid then it will be the best. How far is the college you are about to join also matters. If it’s too far away, it might be difficult for you. Also, the location of the college needs to be considered. A college which is located in a peaceful area will need to be focused more. Whilst a noisy place will create disturbance. Traffic jam can be a major problem for travelling long distance. Yet another important point to be noted, while choosing a college. The previous administration records need to be checked. If the college has good market goodwill and outstanding academic records then you can get in to the college with no fear. At the end it’s all about how good the teaching pattern is and how well the teachers can teach. A college that focuses on ECA as well will need to be selected. You along with good education need to be developed physically and mentally. Personal and professional development is a must nowadays to compete in the market. Academics along with ECA and CCA need to be focused by any college. So choosing a college which facilitates all these things will be more beneficial to any one of us. 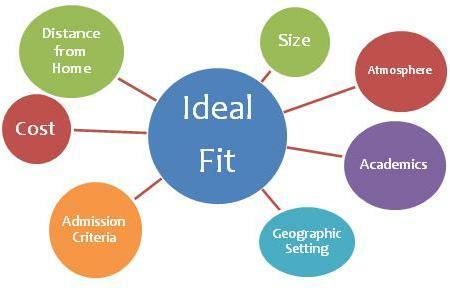 Hence there are many different ways for selecting a college like size of the college, college structures and so on. However, the above points are more important. So, it is must for us to select a college that will help us reach our goals with guidance. 0 responses on "How to find a college that fits you?"